How do the injections work? Can I return to my normal activities after the injections? Why should I have a dermal filler treatment? Why shouldn’t I use a permanent filler? How long will my dermal filler last for? Why should I get my lips treated with Ohana? 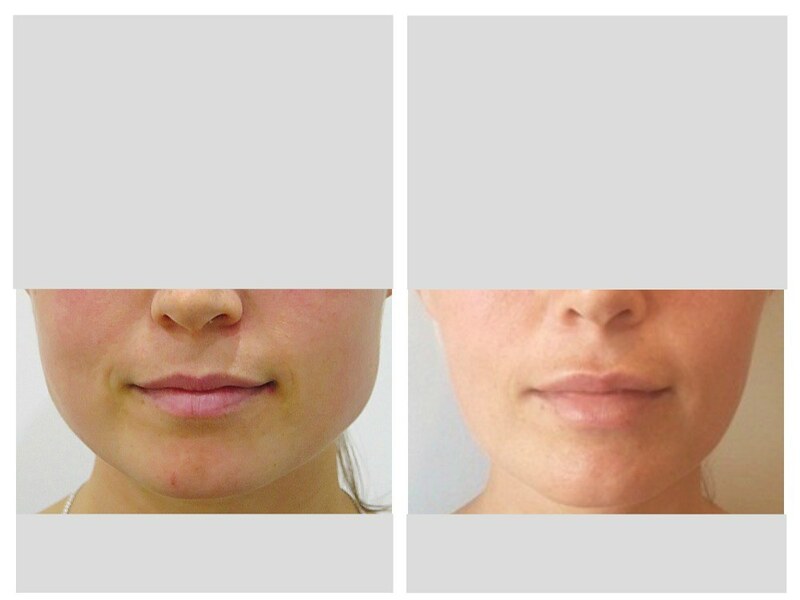 Do lip fillers look natural? Will lip fillers look fake? How long do dermal lip fillers last? What is a double chin and why do I have it? Can exercise reduce my double chin? How do double chin injections work? Is everyone suitable for a double chin injection treatment? Am I a candidate for a thread face lift? How do thread lifts work? How long do thread lifts last? What to expect with a thread face lift? What Areas Can Be Treated with thread lifts? Silhouette Soft thread lift Safe? Lips are a defining feature of our face. At Ohana Cosmetic Medicine, we specialise in creating the perfect lip for you – whether that be a subtle, natural look or something more glamorous. We will take the time to discuss your aesthetic goal to ensure you are guided to the perfect lip for your face. Lip enhancement injections are becoming increasingly popular and we use only the safest products proven to deliver the most natural results. Each lip is individual, so it is important to match the correct lip dermal filler product with your needs and anatomy. There are many factors that make lips appealing, including: border, balance, volume and symmetry. The ability to combine all of the above using different injecting techniques is perfected with experience as well as an artistic eye. Lips that we see in the media are not always possible to achieve in real life due to differences in anatomy. Due to our high levels of experience with dermal filler lip treatments, we will do our best to advise what will be a realist outcome for you. There are many cosmetic clinics offering lip fillers in Melbourne. However, at Ohana we combine skill and an artistic eye with a thorough consultation to create beautiful natural looking lips that you will feel confident with. What are the benefits of dermal fillers for lips? Clients are often very self-conscious as to how their lips look. Are they too small or thin? Too asymmetrical? Or would a subtle enhancement help in balancing the features of the face? Dermal filler injections for lips offer a safe, quick and long term solution to many concerns including re-hydrating lips, adding more volume, improving definition or reducing lip lines caused by genetics, smoking or sun damage. Everyone’s needs and wants are different but a beautiful smile can make a world of difference to your confidence. Over time with the ageing process we lose the structure and support within and surrounding the lips which leads to a less defined and “shrunken” look. By simply replacing what was lost, we can create a very natural, hydrated and well balanced lip. The amount of lip dermal filler used and the techniques used to treat determine how natural you lips will look. Each dermal filler lip treatment is tailored to each individual’s facial structure with the aim of achieving natural looking results whether it be a subtle or a fuller treatment giving a more glamourous look. 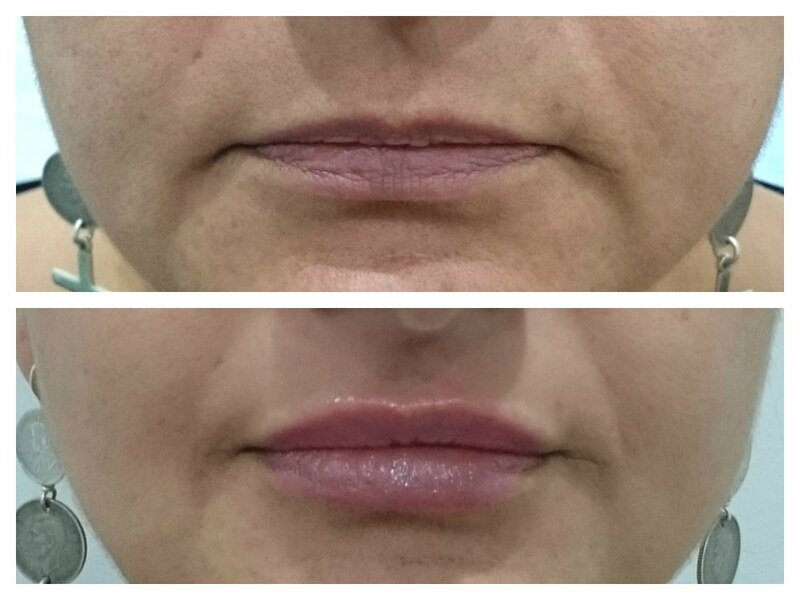 Clients are often concerned that having their lips treated will make them look “overdone” or the dreaded “duck lip”. Through a thorough consultation discussing lip fillers in our Richmond clinic, we will work with you to create lips to match your aesthetic goals and facial anatomy, spending time discussing what outcome would be realistic and showing you before and after photos that would be similar to your style. What is the best dermal filler for lips? There are many different dermal filler products available so it is important to understand that each dermal filler has unique characteristics. For example, natural/subtle results require a soft dermal filler that moves with your lip while a structured, defined look requires a firmer dermal filler for support. What are side effects of dermal fillers for lips? In most cases, the lip enhancement treatment is a quick and comfortable procedure. Mild to moderate swelling is normal within the first 48 hours and can be managed if needed with ice packs. Bruising is also a possibility and may be covered with make-up. We use a specially pharmacy formulated topical anaesthetic which is very strong and quick acting. Clients have reported that they either feel no discomfort or very minimal discomfort. In addition to this, our fillers have anaesthetic in them to assist with further comfort. Most clients prefer topical anaesthetic to that of a dental block as it wears off quicker and they can return to their normal activities. Depending on the dermal filler, the amount used and your metabolism most treatments last 8 – 10 months. Clients often report that with repeat treatments, the layering of dermal fillers and collagen activation their treatments last longer each time. Ohana has a beautiful ambiance. Both Daniel and Alexis are warm and patient which made me feel really comfortable and relaxed about the process. I am so happy with the natural results. I look and feel so much more refreshed. Thank you. is rated at 5 based on 7 reviews.